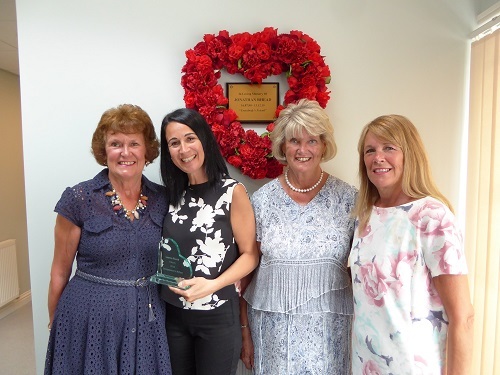 A Standish mum-of-one has become the latest Patron of our Leigh-based charity Compassion in Action (CIA) following the tragic death of her brother who she described as “everyone’s friend”. Jonathan Rhead had been living with Bi-Polar Disorder for a decade when he took his own life in December last year, aged just 35. His grieving sister Leanne, aged 39, said that he had a massive personality, was the life and soul of the party and was full of fun. Standish-born Jonathan’s ill health is thought to have been triggered by the death of a close friend. He sought help and managed his condition successfully for many years while living and working in the Middle and Far East. However, when he stopped taking his medication because he felt ok, he became unwell again and was diagnosed with Schizophrenia. Jonathan was hospitalised in November 2014 for eight months and then moved into sheltered accommodation in July 2015. He took his own life five months later. Leanne’s first fundraiser for our charity will be the gruelling race ‘Tough Mudder’, which she is participating in along with her family and friends. “I only have three months to train, but I am looking forward to the challenge,” she said. ‘Haven House’ opened in January 2016 and has supported 95 people who were in need of emotional support to prevent possible crisis. To contact our wellbeing centre, located on Leigh Road, Leigh, telephone 01942 418830. Other local mental health services include your GP and 5 Boroughs Partnership NHS Foundation Trust’s 24 Hour Assessment Team (01942 482239).